The Federal Minister of State for Climate Change Hon. 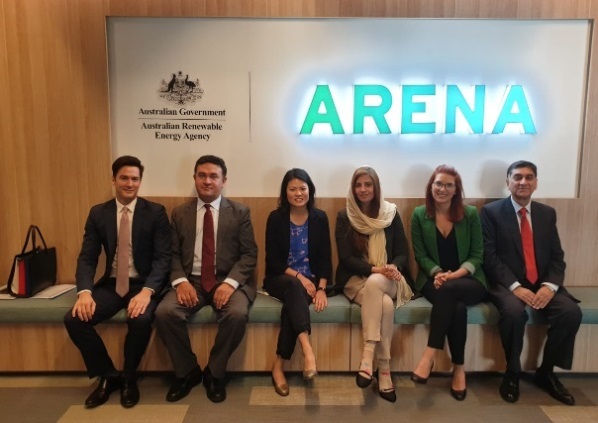 Zartaj Gul visited Canberra from 8-10 April 2019 on the invitation of the Government of Australia. 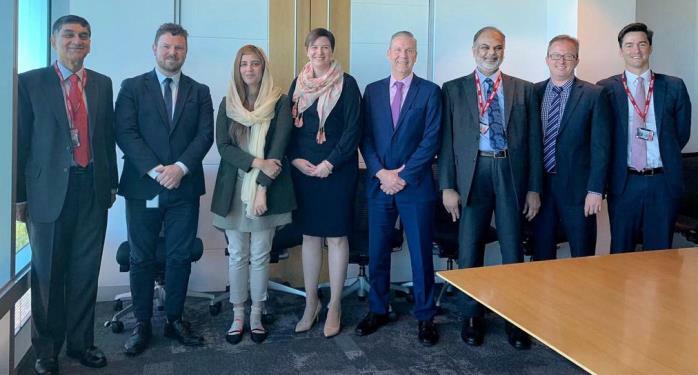 She held meetings at the Department of Foreign Affairs and Trade (DFAT), Department of Agriculture and Water Resources, Commonwealth Scientific and Industrial Research Organisation (CSIRO), Australian Renewable Energy Agency and with the officials of the ACT Government. 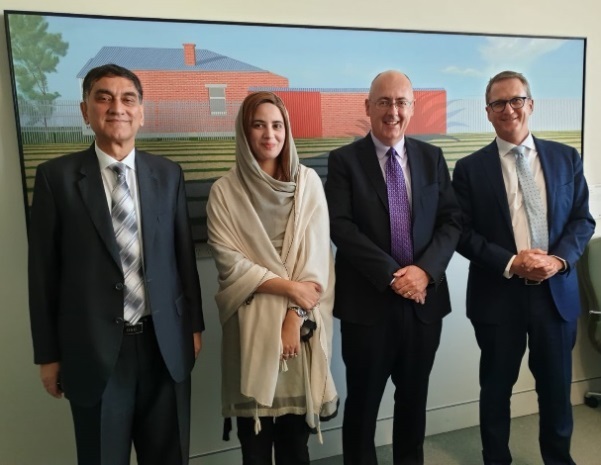 She also met Mr. Ewen McDonald, Head of the Office of Pacific and former Developed Country Co-Chair of the Green Climate Fund and the Ambassador for Environment, Mr. Patrick Suckling. The Minister also visited the Australian National University. 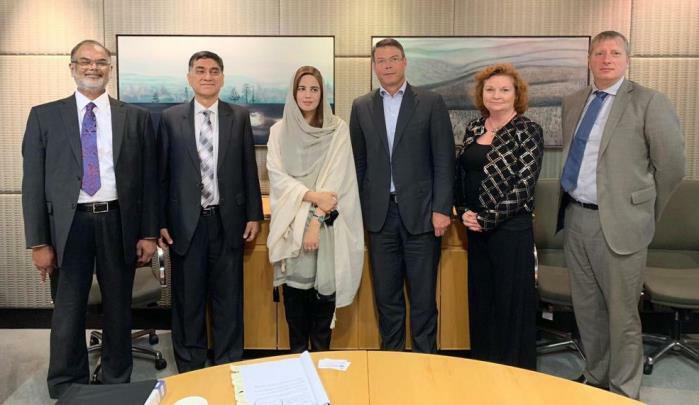 Minister Zartaj Gul also led the Pakistani side at the roundtable discussion on climate change, environment, renewable energy, agriculture and water resources. She stated that several projects like the ‘billion tree Tsunami’ were initiated during the PTI’s Government in Khyber Pakhtunkhwa. The Minister underscored that keeping in view the challenges posed nationally, regionally and globally by climatic changes, the current Government had taken several pioneering measures like ‘Clean and Green Pakistan’ and the country-wide ‘Billion Tree Tsunami Initiative’. She highlighted that Pakistan was one of the lowest emitters of Green House Gases, both in per capita (ranked 135th in the world) and total emissions (0.8% percent of the global emissions) and was spending 5-7% of its budget annually on climate related activities. Pakistan, however, remained highly vulnerable to the adverse effects of climate change and was threatened in multiple ways, inter-alia, through drought, desertification, glacial-melt, sea level rise and recurrent droughts and floods. 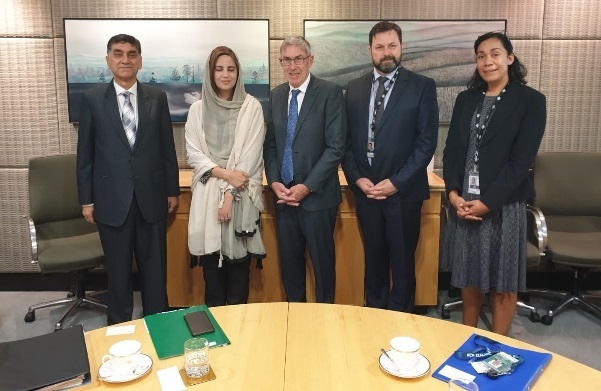 The Minister mentioned that Pakistan had manifested its commitment to Climate Change actions, time and again, through its constructive role in the adoption of the Paris Agreement, the Amendment to the Kyoto Protocol and during the negotiations to operationalize the Paris Agreement. Pakistan expected that the pledges made by the developed countries towards Climate Fund would be materialized. Hon. 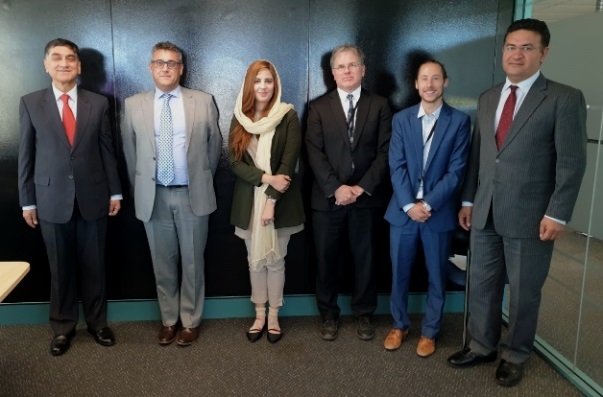 Zartaj Gul stated that Pakistan presented huge potential for joint ventures in climate adaptation and mitigation technologies. She hoped that the two countries would benefit through institutional cooperation and joint research in climate change, agriculture, ocean and marine environment. 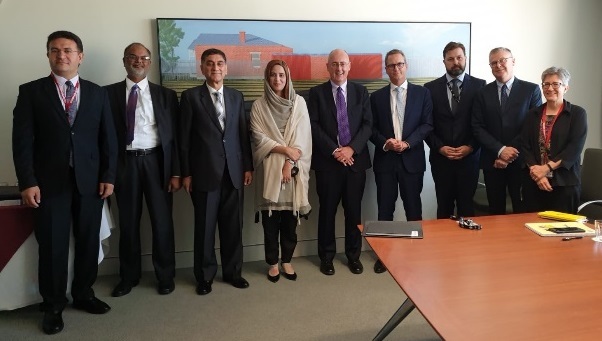 The Australian interlocutors briefed the MoS on the technological developments and the management system introduced by them to mitigate the adverse impact of climate change. They expressed interest in cooperating further with Pakistan in the areas of climate change, environment and ecology.